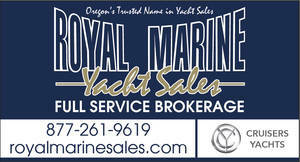 Royal Marine Yacht Sales *503-289-1747* Hours Monday - Friday 10-5, Saturday 10-4, closed Sundays. 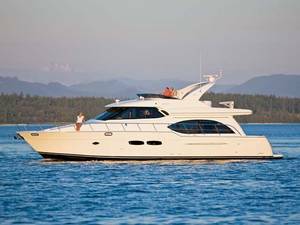 Royal Marine Yacht Sales is Oregon's Wellcraft Sport Fishboat Dealer. Place your order today and save. What a year this has been. People are out buying yachts. We have a dire need for quality preowned yacht and boat listings. 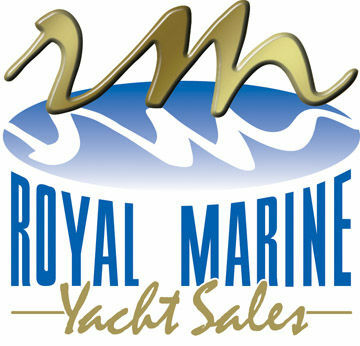 If you are considering selling your boat, call Royal Marine Yacht Sales. We have a great location with Maximum exposure to get your boat SOLD. When seeking to buy your next boat, give serious consideration to being represented by Royal Marine Yacht Sales. A CPYB yacht sales professional will help strengthen your position in many ways, including helping to negotiate the fairest deal possible, while saving you valuable time and, possibly, avoiding costly mistakes. Ask yourself, What is your broker doing for you? You will appreciate how hard we work to get your boat SOLD. This fresh water boat is Bayliner's 5788 Pilot House classic lines and contemporary styling will provide the discerning buyer an unsurpassed yachting experience. The hull broadens neatly to a hard-chine modified V-bottom for a smooth ride and precise handling on turns. With twin 610 Man diesels and 800-gallon fuel capacity you can reach the destination of your choice effortlessly. The flying bridge hosts full instrumentation and is amply equipped with lounge seating for topside entertaining. The pilot house offers stand-up headroom and excellent visibility. Instruments and electronics are professionally arranged to let you maintain control in comfort. The galley has Corian countertops and hardwood flooring while the master stateroom includes a queen size island berth, twin closets, private head with tub, shower and separate vanity. The bright and airy salon greets you and your guests with a taste of the enjoyment that awaits you aboard this luxurious motoryacht.